Review: I'm a huuuuuuuge fangirl for Harrison's first novel, Our Man in the Dark and I've been on pins-and-needles for his next release. I inhaled this read -- it's a dramatic, plotty, swashbuckling-ish yarn -- but am a little conflicted about how I feel! Set just after the Civil War has ended, the novel follows Jupiter Archer, a former slave who fought for the Union Army, now living as a "crimper" in San Francisco. A crimper, as it turns out, is someone who essentially kidnaps -- or Shanghais -- men to work on ships. It's not the job he wanted, but he's frantically searching for his wife. He's also being pursued by Archer Smith, the son of his former owner; Archer also happens to be his half-brother. Theirs is a complicated relationship (no surprise, right?) made even more complicated when they both are crimped themselves and tossed onto a ship with the cagey, charismatic Captain Barrett. From there, the novel goes on a dramatic, action-filled journey halfway around the world while Jupiter and Archer struggle to get what they each desire. As with his previous novel, the characters are evocative and compelling. Jupiter is a deeply sympathetic figure, but everyone in this book is complicated and shaded in gray. Archer seems, on the surface, to be one-note -- simply after revenge -- but as the novel goes on, we see the damage he suffered at the hand of his parents. Even the bombastic Captain Barrett, who has shades of Ahab and the Terminator to him, is a fascinating figure. Harrison perfectly balances the adventurous plot with lovely ruminations; my copy is dogeared from all the delightful quotes I wanted to remember and note. My only complaint about the book is that it had an episodic feel, almost like a screenplay that had been filled out. A character might think of something -- a memory, for example -- and then Harrison would immediately whoosh to that scene in a slightly awkward way. Occasionally, events happened so quickly I felt like I was being rushed out the door, and I wouldn't have minded a longer novel to spend more time with Harrison's intriguing cast. I'm once more excited for Harrison's next offering (if there is one, I don't know!). 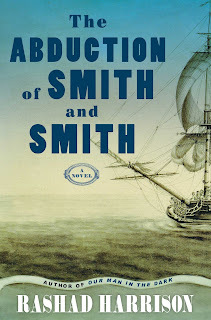 A quick read that has the sort of feel of a "rip-roaring yarn" with a contemporary understanding of slavery, servitude, and family, this novel is worth picking up this summer for those who enjoy historical fiction, nautical tales, and stories that touch on what happens after war and other bloody conflicts. I'm just not much of a historical fiction reader unless it's 20th century so this might not be for me. Ohhh...sounds very interesting! I haven't read this author before so I might start with the first book. Thanks for the recommendation! I like the sound of this, but might have to start with Our Man in the Dark first! 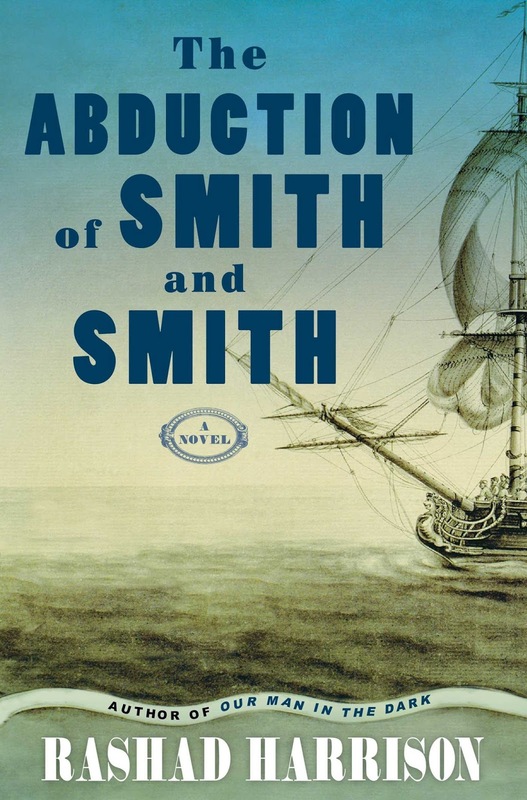 Abduction, pirates, and slavery, oh my! (Ok, it probably sounded better in my head. LOL) But seriously, this book sounds like the perfect summertime adventure read with just enough "meat" to keep me fully invested in the story. I'm glad you enjoyed it! Thanks for being a part of the tour.